Even back alleys can play host to a a striking sky. This was shot in the alley behind my son's apartment in Philadelphia. 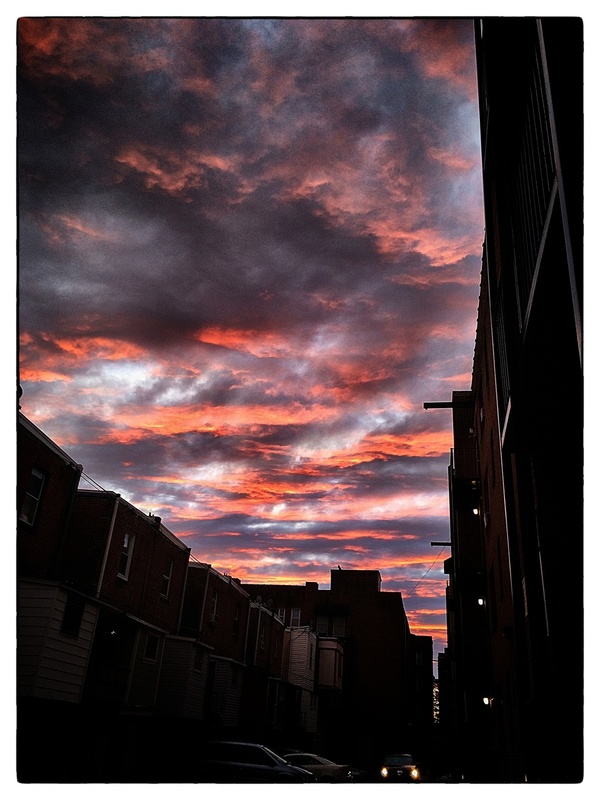 Sunset over back alley, shot February 21, 2014, in Philadelphia.